A savory (and vegan!) side guaranteed to appeal to the masses. 20 minutes! 5 ingredients! Gloriousness! 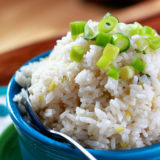 I can definitely tell you that “goodness” and “light” aren’t actually in the list of ingredients for this Sticky Coconut Rice recipe, but I can promise you’ll understand once you take your first bite of this savory side. Why is it amazing? Well, first of all, the taste is shockingly, like, almost transcendent. I mean, I know us food bloggers like to say “YOU GUYS BEST THING EVER!! !” about every single thing, but seriously. It’s a little creamy, a lot sticky, slightly sweet, but definitely savory. It’s coconutty without being overtly so. And it goes equally well with Thai cuisine, Chinese, or Caribbean-inspired fare like an also-fab chili recipe I’m excited to share later this week. What else is so great about this stuff? It only takes 20 minutes, most of which is hands-off. And the number of ingredients? Five. If we don’t count the water. Four if we don’t count the salt. Three if we don’t count the rice, but I suppose that would be pushing it. 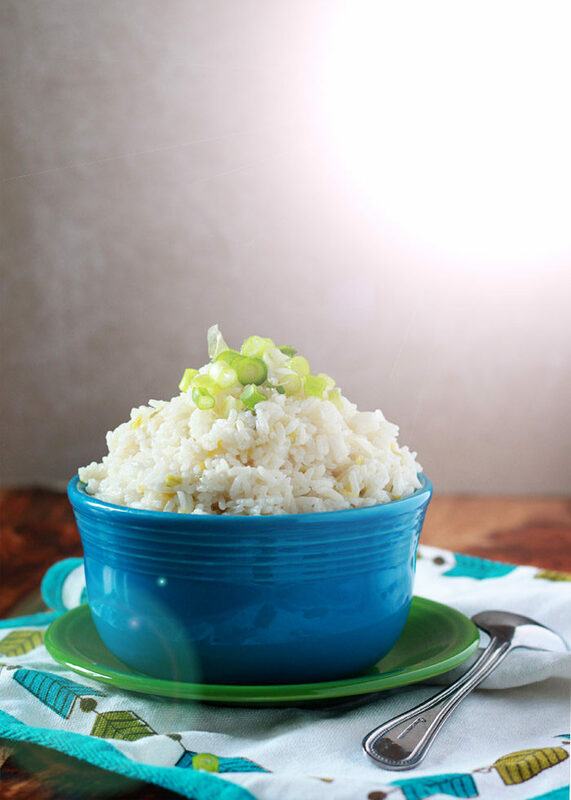 Goodness, light, scallions, and rice. And coconut milk. Can you hear the magical tune as the sun turns its angelic rays toward this magical marvel? I know, I know. Too far. Set a medium saucepan over medium heat. Add the coconut milk, water, salt, and maple syrup. Bring mixture to a boil, stirring occasionally. 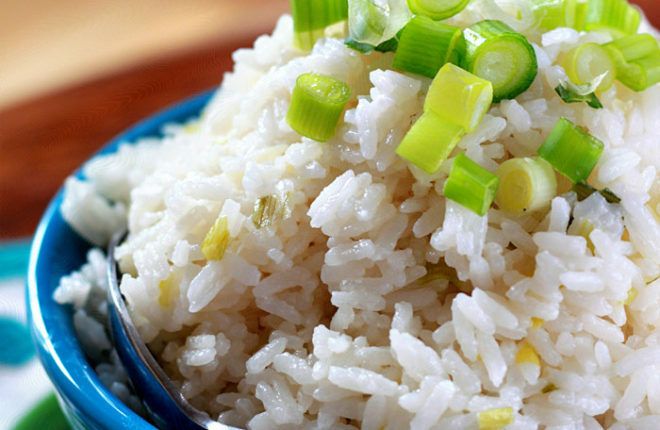 Once boiling, add the scallions and slowly pour in the rice. Stir to combine. As soon as it returns to a boil, reduce heat to low and cover. Simmer, uncovering to stir occasionally then re-covering, until most of the liquid is absorbed and the rice is tender, 8-10 minutes. and yes, I heard the “LAAAAAA…” as well! This place near my house in San Diego makes the beeeessttt coconut rice and I always miss it! I absolutely need to try this – it’s too darn easy not too. And I love that picture with the light coming in. Pinned! I have made it with Basmati and it’s great! It just takes longer to cook – about 30-40 minutes. 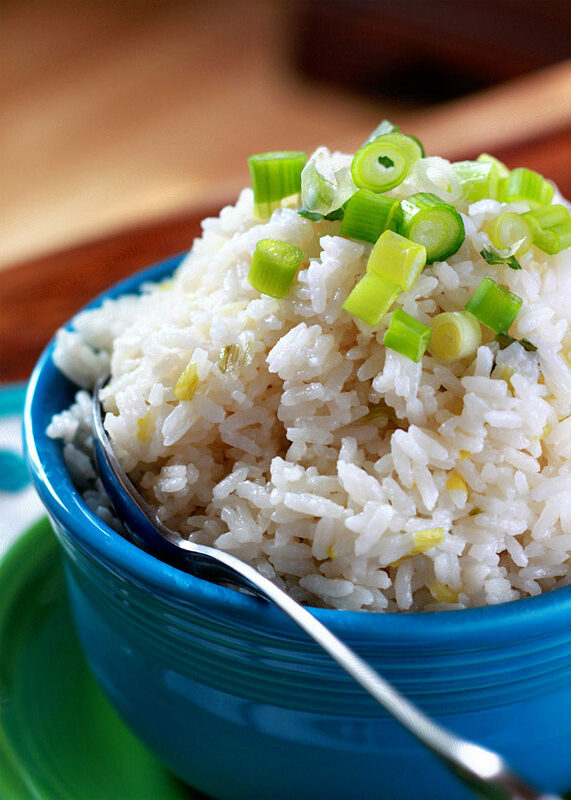 I have recently fallen in love with coconut rice: it satisfies so many of my cravings at once – sweet, savory, nutty – and it is so easy to make. (I actually have a post coming out next week using Forbidden Rice.) Thanks so much for this simply delicious recipe. I very rarely eat grains but occasionally will have white rice. I adore this! 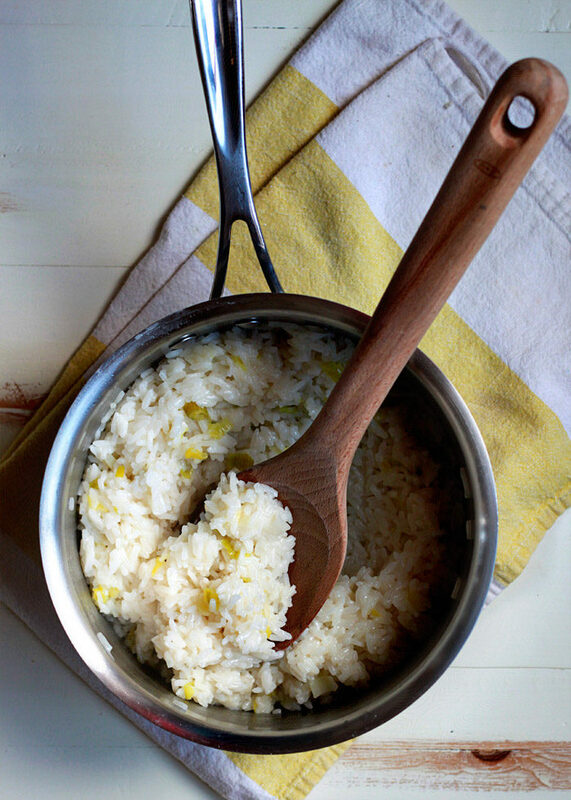 I used to work in a Thai restaurant and have been craving their mango coconut sticky rice. I might just have to whip up a batch of this soon! 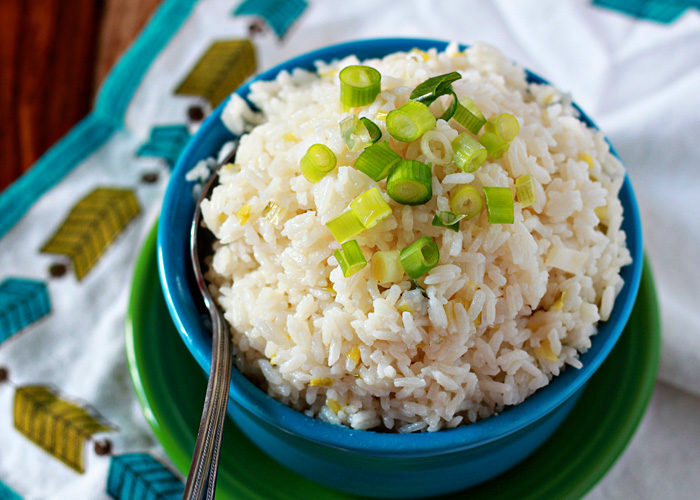 Next time I make rice in my rice cooker I am making this version. I love coconut anything so this is going to be great!